Tomorrowland in the Magic Kingdom was a magical place. 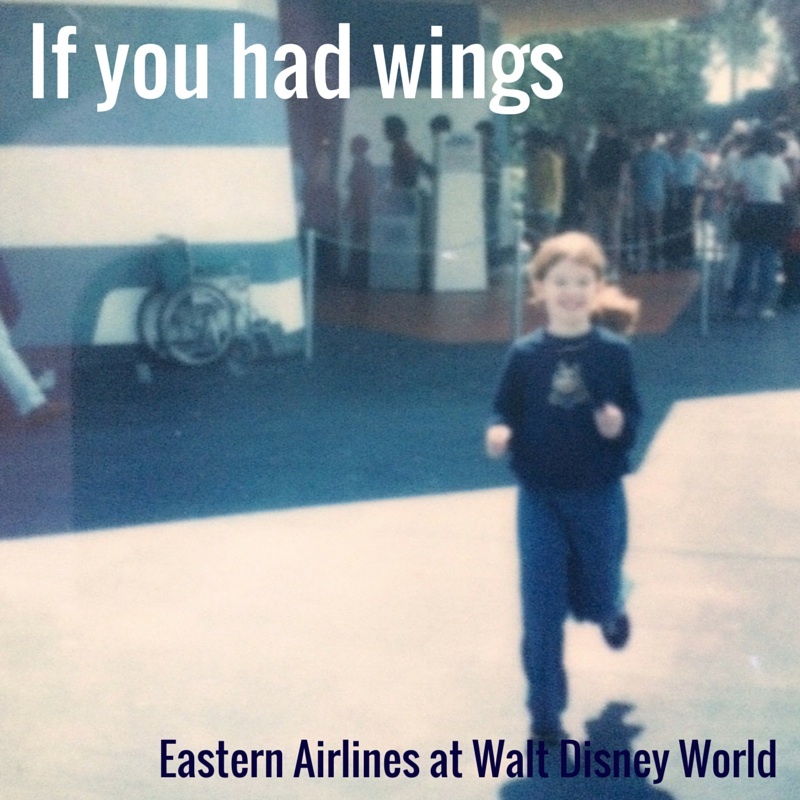 Here I am, freshly off the “If You Had Wings” Eastern Airlines attraction. You may be too young to remember, (and you bet it both excites me to make a statement like that, as I am old enough to have made over four-decades of Walt Disney World memories, and it pains me as I have seen some of my most favorite and cherished attractions leave the parks) but the now-beloved Buzz Lightyear’s Space Ranger Spin used to be occupied by an attraction called, If you had wings sponsored by Eastern Airlines. What? Buzz Lightyear’s Space Ranger Spin was not always there? No my friends: It was not. If you had wings was my family’s park opening tradition. Before we rode anything else, before we watched any parades or ate any food, we made a straight shot, bee-line into Tomorrowland to jump onto the ride. To ride, If you had wings meant that we had arrived: our vacation could start, and we could get on with making more fun. My family had been wrapped in the Eastern Airlines brand, from the moment we left our home to the time we arrived in Orlando. Eastern was a major partner in the cross promotion of Walt Disney World: It was the WAY air travelers got to Orlando. As a preferred sponsor and partner, Eastern treated its little mouse-fans-in-the-making to in-flight custom plastic Mickey bags filled with coloring sheets and crayons. Airports in Eastern’s hubs were filled with bright and colorful travel posters picturing Mickey and his gang side-by-side with the company’s flight crews. My sister and I took all the bait, and not long after our fist visit to Walt Disney World in 1975, we found ourselves as bonafide fans. We knew how to map out our days, and we would sing the overly infectious, If you had wings theme song when we anticipated our next trip. It was exotic, air-conditioned and free. As a non-ticketed attraction, it was also budget-friendly and lured huge crowds in its first years. The ride’s omnimover car, ran around a track through multiple ovoid-shaped “theaters” that featured live action films of the travel-worthy locations Eastern hoped to promote. This track is the same now used by the famous Toy Story attraction that now occupies the space. The car sat two people, and I remember keenly, the fantastic magic of the safety bar lowering itself onto my lap. (Anyone else ever marvel at this feature? You know you did!) The opening sequence began with projections of airplanes and seagulls, along with the sounds of bird caws, accompanied by a whoosh of wind and the highly infectious, eponymous tune “If you had wings” written by Buddy Baker and X. Atencio. The omnimover made its way through showcases of the Caribbean and Mexico (See the Gran Fiesta Tour starring the Three Caballeros in Epcot’s Mexico Pavilion for the heavily influenced, If-you-had-wings-style) and onto 180-degree, round projection theaters that felt as enveloping as 360 degrees to a novice rider. The magic of the ride was the multi-sensory experience. I really didn’t care about any of that. Yes, I am sure the technology was underdeveloped and in its infancy…well, so was I! We felt speed, and lift and excitement: all the the things you need to lay the groundwork for adventure. Eastern Airlines agents stood by to take any prospective reservations as riders exited the attraction. If you had wings closed its doors in 1987 when Eastern pulled its sponsorship, soon to shut down its airline services. The attraction space wound its way through various iterations until it settled into the popular Buzz Lightyear’s Space Ranger Spin in 1998. The ride occupies a special place in my memory: If you had wings will forever be a Tomorrowland favorite and will mark a time in my life when the Disney magic began to grow. Did you like, “If you had wings”? What do you remember about it? Share your memories with us! Never had a chance to ride? See a POV video here. Kristin Fuhrmann-Simmons is a food and travel writer and social media marketing manager in the great State of Maine. When she is not seeking out the next-best-thing-she-ever-ate or planning her next cooking class, she is busy scheming for her runDisney vacations and cooking with her family. She can be found at @kennebunkportmaine and @kafcooks on Instagram and at kristinsimmons.com and www.tablemaine.com. It’s always great to hear some love for If You Had Wings. 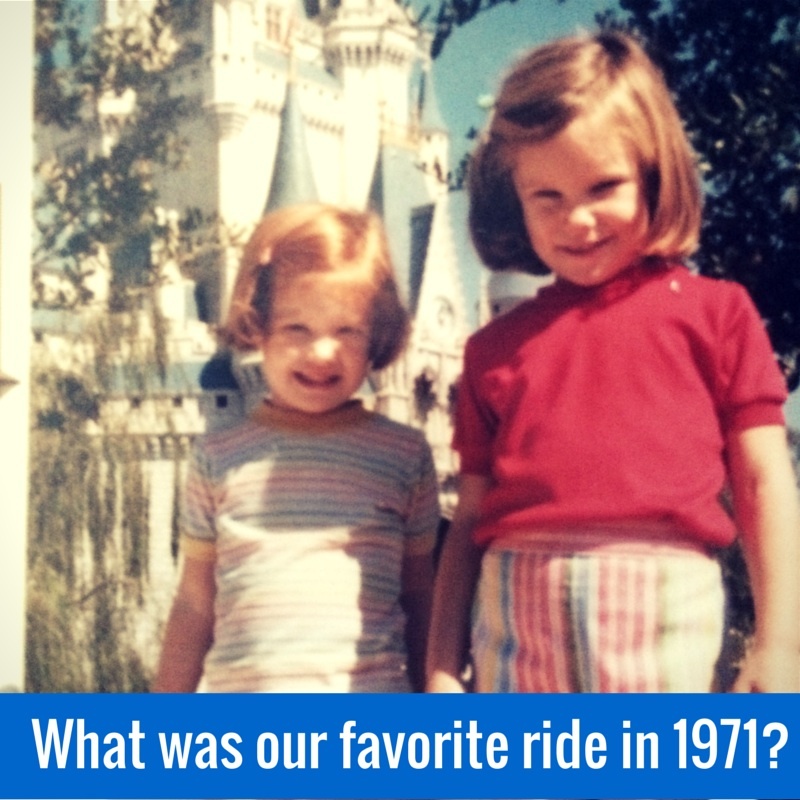 My parents took us to Disney World a lot in the ’80s, and it was easily one of our favorites. It never had a line and was air conditioned, but it was more than that. It’s hard to explain just how cool this ride was; the speed rooms were amazing! The online videos don’t do justice to how fun it was at the time. With the song, the birds, and all the different videos, it just worked. Loved the post! Dan, I agree with you completely! It WAS so cool – both literally and figuratively. I am so glad that you had the chance to experience it and to share in the good memories. I loved the speed rooms and can still remember them distinctly. Are you sure that Orson Welles was the exit announcer? I remember the voice not being quite as deep. I’ve got an MP3 of the end line, and it sounds nothing like Welles. Can you confirm? Brian – it is a great question! I know that Orson had many “tones” to his voice and I too, second guessed myself when writing his piece. There have been times when I have heard his voiceovers and said, “Hmmmmm…that was Orson Welles? It seemed so light in tone!” (see his frozen pea, Carlsberg beer, and Vivitar Camera commercials). He was the originally the “end” voice at IYHW from 1972-to at least 1980. There was at least one voice change for Eastern at the end of the 1970s. But exactly who replaced Orson Welles is not confirmed. There are conflicting online reports that it became either John Forsythe or Disney’s beloved Peter Renoudet. I cannot confirm this however. I would love to know if you dig up any further information. You are not alone. I LOVED this ride. Not being a Space Mountain kind of girl, this was my thrill ride in Tomorrowland. Mine too Alyson. I closed my eyes in Space Mountain for the 1st 10 years that I rode it, and now I let my husband take my girls on it. Give me an omnivore any day of the week! Thanks for your feedback! Wish Disney would reopen this attraction since Eastern airline is back in business. I would travel from Ohio to see it again. I’m sad to say that I was too young for If You Had Wings. It closed down a mere 4 years after I was born. But I do remember Delta Dreamflight which was one of the reincarnations. It had the same “shameless self promotion” that Eastern had, but that never mattered to a young kid like me. This was actually one of the first rides my parents let go on by myself. I always held my breath when passing through the rotating lights because that part always smelled bad, but it has always been one of those memories that I treasured, bad smell and all. I was so upset when that attraction closed. Now that I’m older, I understand why Disney ultimately closed it, but thinking about it always brings back fond memories. Thanks for helping me relive a truly wonderful time in my childhood. 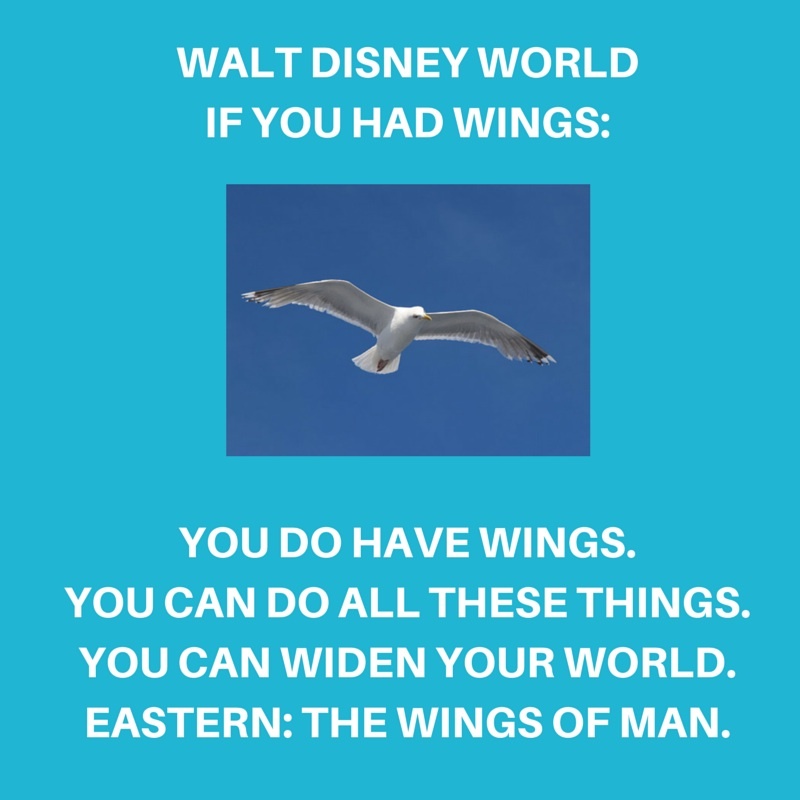 I visited WDW a dozen times between 1975 and 1993 and I have very vivid and fond memories of “If You Had Wings” (and thanks to Mike Lee’s “Widen Your World” website I was reintroduced to the ride along with live audio and video of it). It was one of my favorite attractions and looking back I see how as a child, IYHW captured a child’s sense of how *fun* the idea of air travel used to be. The big, open waiting area had the quality airports used to have when it was fun just to visit them, and when flying on planes meant all kinds of long-vanished frills (and no TSA to go through). The theme was infectious (it infuriates me that IYHW is practically the ONLY major attraction that never got its clean archival audio tracks released; that you can blame on the Disneyland centric attitudes of Disney historians that always gives WDW history short-shrift). I can only add to the Orson Welles matter that if his voice was ever used, it was gone before 1976 because I have live audio of the ride from that year when the closing line was still “Eastern, the wings of man” rather than the later “Eastern, we’ll be your wings” and the voice is the same one. It isn’t John Forsythe and it also isn’t Pete Renoudet (who did do vocals for the ride on its demo track recording but none of them were used in the ride itself though it does sound like him singing in the New Orleans section).